Can you believe we’re already three quarters of the way through January? 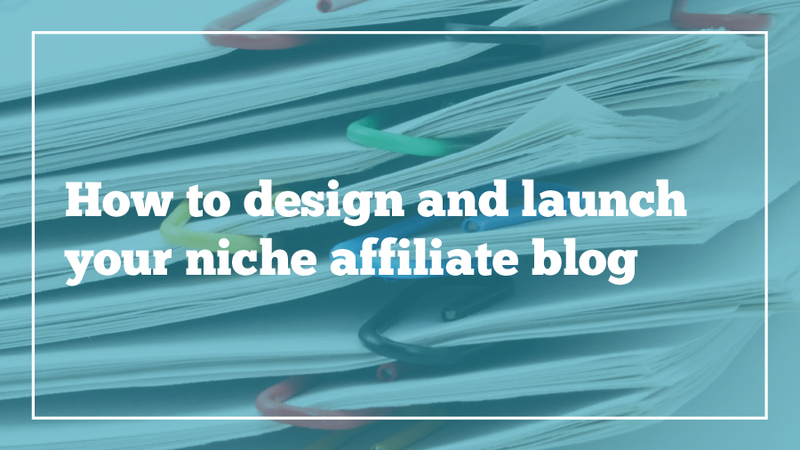 That also means we’re three quarters of the way finished with this niche affiliate blog-along. Went to my hosting provider, Bluehost, and bought a domain name for $11.99. By the way, I already pay about $70 a year for Bluehost, since I host more than 20 domains for myself, family and friends. If you don’t already have hosting, Bluehost starts at $3.50 a month. For my purposes, let’s take one month of my Bluehost install, or $5.85. I went to my Amazon Affiliates page and created a new affiliate referral code, “stem4girls-20.” This was free and took five minutes. After I set it up, I made sure that every time I link a product from Amazon on the site, it includes this referral code within the URL path. 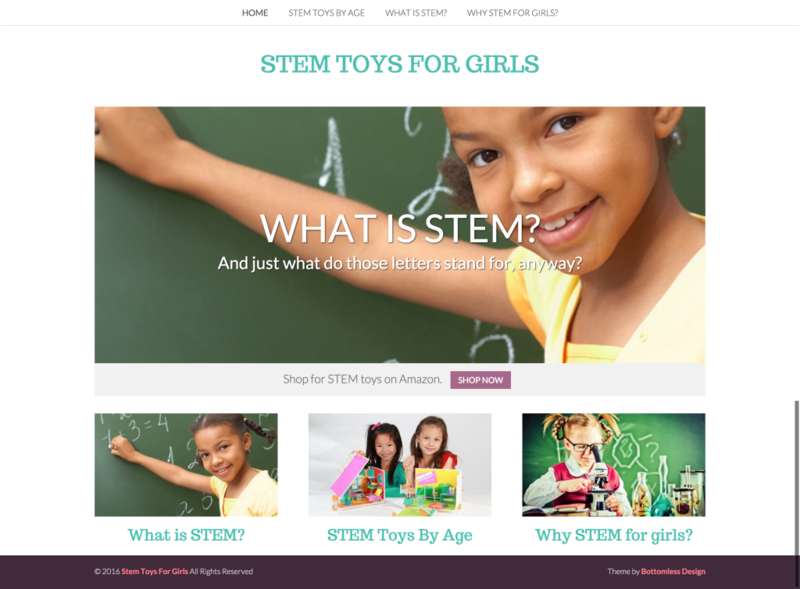 Installed WordPress on stemtoys4girls.com and applied a WordPress theme to make it look pretty. Since I do this a lot and want unique looks for my sites, on Black Friday I bought 12 premium WordPress themes for $25, but you could also easily use a free WordPress theme. Let’s count this theme, Birch, as 1/12 of that, so $2. I added in three pages of content, and I was ready to go. It took me about one morning to get everything set up. So total investment: $19.84 and six of my billable [working] hours. Overall, it’s not a bad up-front investment, especially compared to a lot of other kinds of businesses. For example, I’m launching a T-shirt line for Gunpla 101 this week, and that cost over $200 because I had to pay my designer, Ben Huber, for his fantastic work. Still, I expect that I will end this month at a loss for Stem Toys For Girls. Why? Sites simply don’t become authoritative overnight. I can mess with keywords all day long, but people aren’t stupid. This site is brand new and looks it, and it’ll take time for it to acquire an audience, no matter how much I put my heart into it. I have a link from my site to Amazon right on the front page. One of the first things you see when you visit the site is the call to action, “Shop for STEM Toys on Amazon.” If you’re browsing this site, I’m hoping, it’s because you are looking to buy stuff, so this helps. On internal pages like this one, I link to products multiple times. The image, product title, and “get it here” button all link to the same place, so whatever is natural to users will work. This is the same thing I do on Candle Fandom every time I list a shopping guide. I use my own words. I can’t stress it enough that the whole purpose of this exercise is to make a living off of your own writing, not to churn out spammy content you don’t care about. So there you have it. Next week, I’ll share my earnings report (if there’s even anything to report) and wrap things up. If you’ve been working on an affiliate blog, please show me! I’d love to see it.